Natus is a US Multi-national Medical Company based in California with a Manufacturing Facility in Co Galway. 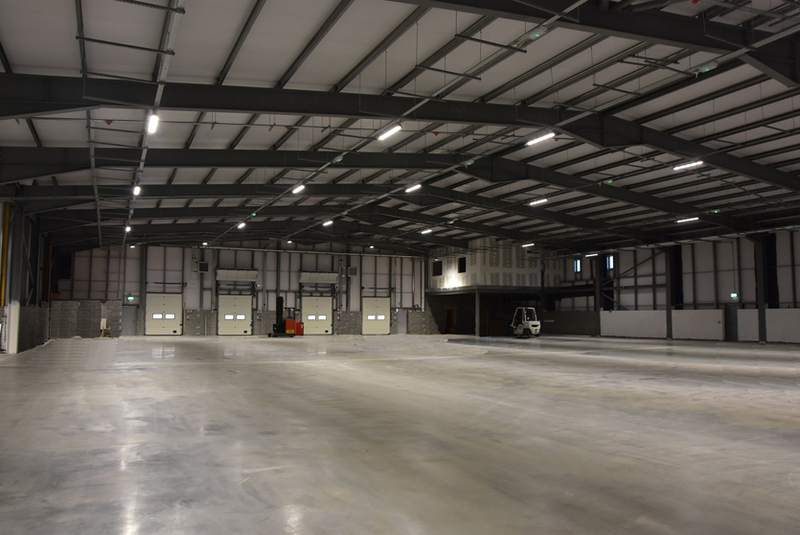 Their latest Warehouse has been illuminated with VeeLite LED Rackliters. Note: The lighting system above is designed for lighting Warehouse Aisles. The Storage Racks are not yet installed. Each of the 28 Rackliters above has a Motion Sensor so the lighting will only switch on when motion underneath is detected. Lights are installed at 8m height. The Light distribution is narrow to illuminate the Aisle and minimise wasted spill across the top of the Storage Racks. The Rackliters are arranged in rows to illuminate the Aisles when the Storage Racks are installed. VeeLite LED HighBays are used in the open area at the end of the Building. An average 200 Lux light level is provided which is typical for Warehouse lighting. The Rackliter itself is made from Aluminium with a Polycarbonate lens and is IP65 rated. It is designed solely for use in Warehouse Aisles. LED wattages are available from 3ow to 180w and with various dimming or Sensor control systems ideal for industrial lighting. VeeLite Lighting offer a range of Industrial lighting Products to illuminate Warehouses, both between Storage Racks and in Open Areas. 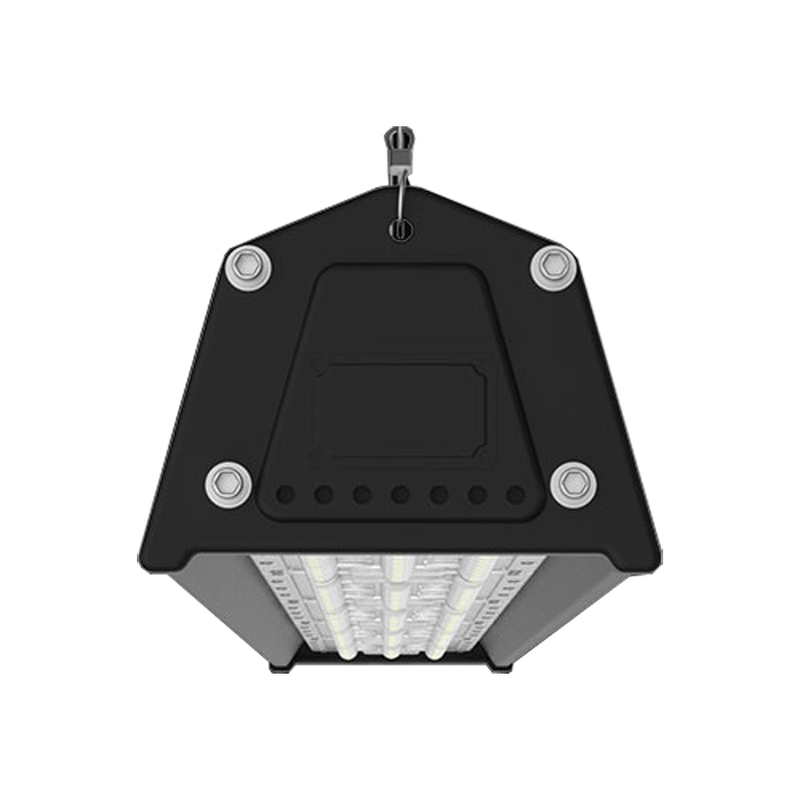 All Products are with high efficiency LED optics. We also offer LED HighBays designed for various Heights and with a range of Optics and Beam patterns. For low glare retail installations, we offer our attractive Softbay which is a high performance HighBay but an attractive diffuser to prevent glare, to add uplight and to enhance the visual appearance of the lighting system.